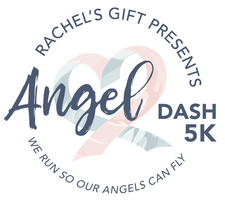 Would you like to have your baby memorialized at the 2018 Angel Dash? Upon request, a Memorial Angel bearing your baby's name will be placed along the race course - FREE of charge. Be sure to submit your request on or before October 15. After the race, Memorial Angels will be gathered and made available for you to take home. 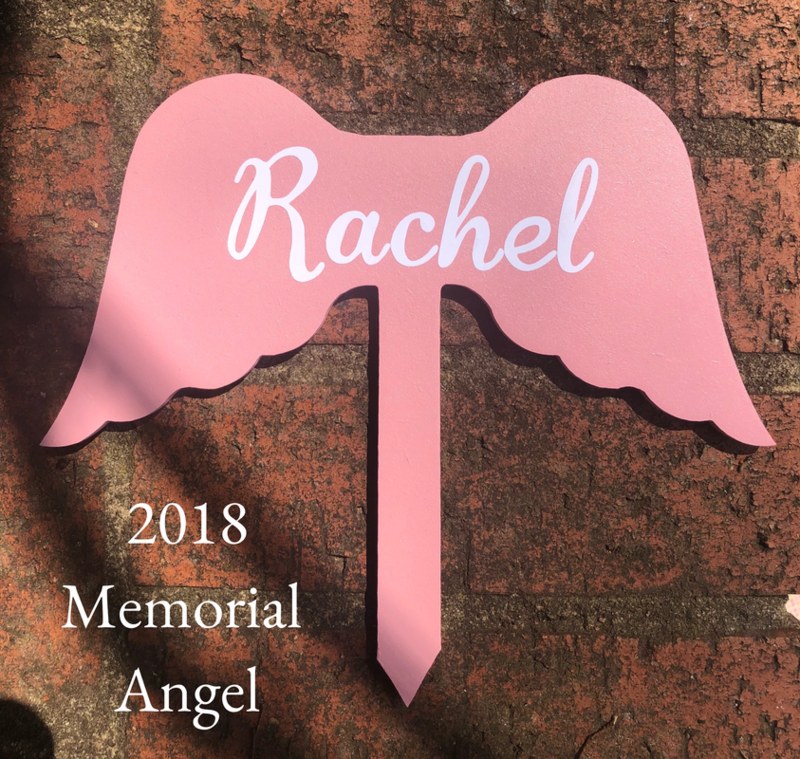 2018 Memorial Angels will be different from the 2017 version (pictured above,) but remain wing-shaped, wooden, and personalized (with love!) 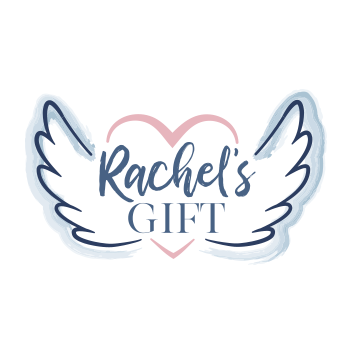 by Rachel's Gift volunteers. The deadline to submit a request for a Memorial Angel has passed.